Cherokee Workwear Professionals is designed to work just as hard as you do, while giving you all day comfort. 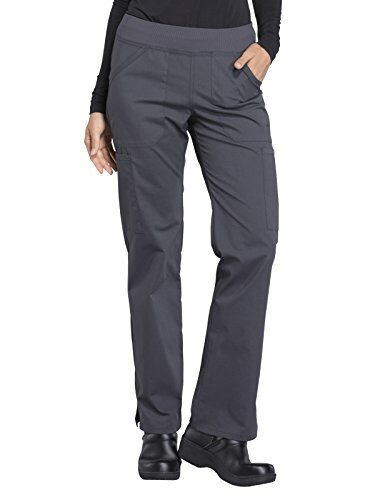 This mid-rise, straight leg pant features a comfort-fit rib knit waistband reinforced with inside elastic for extra support, 2 front patch pockets, 2 cargo pockets, 2 back pockets and side vents. 63% Polyester, 34% Cotton, 3% Spandex. Modern Fit. Regular inseam:?31?, Petite inseam: 28.5", Tall inseam: 34". Regular inseam:31", Petite inseam: 28.5", Tall inseam: 34"
If you have any questions about this product by Cherokee Workwear Professionals, contact us by completing and submitting the form below. If you are looking for a specif part number, please include it with your message.